As a former scientist, I follow quiet some researchers on Twitter, and I am convinced that Twitter is a very useful tool for them to interact with fellows and peers. This 10 min video is aimed to show scientists what Twitter is, how to build up a Twitter network around the topics they’re interested in, and if Twitter is useful for science communication or can even increase their citation rate. Please be aware that due to copyrights, the video included in the talk is embedded beneath as a stand-alone video. 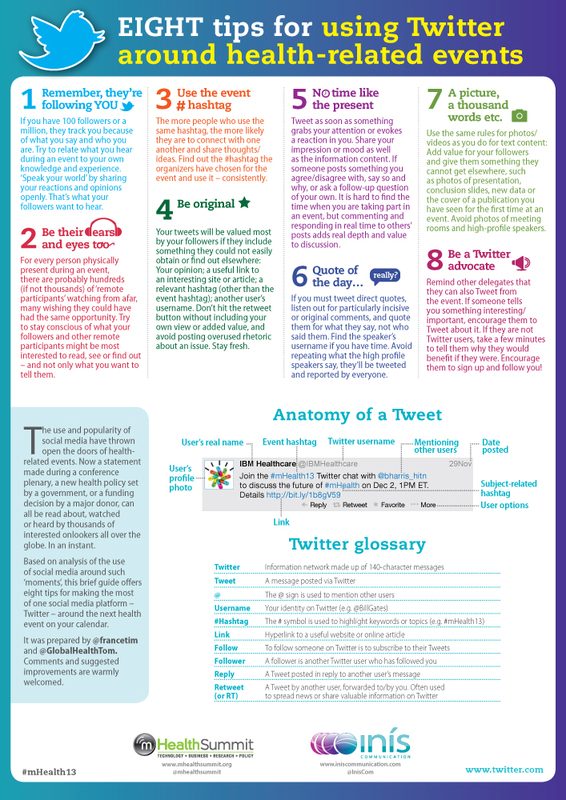 Eight Tips for using Twitter around health-related events– how to use Twitter at a conference.